Read all of these instructions before measuring. Measure ALL WINDOWS that you intend replacing. Read these recommendations, look at the diagrams carefully, and identify all pieces to be revoked or added during installation. 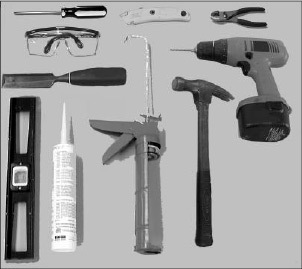 Broad wood chisel, hammer, utility knife, Phillips-head screwdriver, fathead screwdriver,duct tape, level, safety glasses, caulking gun, professional grade of exterior paintable caulk, drill, 7/64” drill bit and pliers. We strongly recommend that you wear protective eyewear. 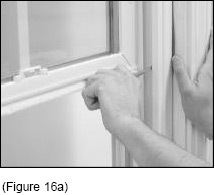 1) Measure the window opening to ensure that you purchased the correct size window. 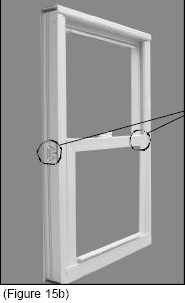 2) Measure the window itself to ensure that it will fit into the desired window opening. 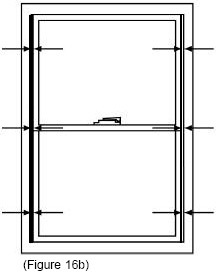 Window would be approximately ¼” less than the opening in width and ¼” to ¾” less in height. 3. There are 2 screw holes in each jamb. There is 1 at the top, in the inside pocket, underneath the sash stop, and 1 at the bottom, in the outside pocket, underneath the sash stop. (See Figure 12). Remove the top and bottom sash stops by gently prying them out of the jamb (See Figures 12b and 12c). 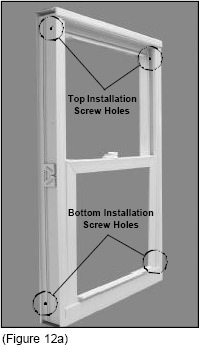 4.Install and tighten installation screws in the screw holes described above. Do not over tighten as this may distort/bow the frame. 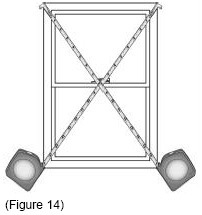 (See Figure 13) Replace the top and bottom sash stops at this time. 8.Push the head expander up tight against the upper part of the opening. (See Figure17) Replace the inside top molding tight against the head expander. Secure the head expander, if necessary, with the 2 small screws provided. Caulk before and replace the inside moldings tight against the jambs of the window. Caulk where the moldings meet the window to seal any gaps. 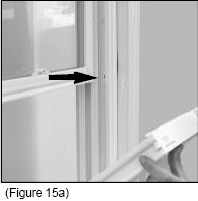 9.Caulk where the window frame meets the blind stop. (See Figure 18) Take care to ensure that all gaps are filled/sealed. 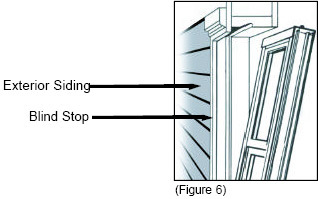 Fill any old screw holes created by storm windows or old screens. Use a paintable caulk and /or putty so you’ll be able to re-finish the exterior.